Absolutely stunning wedding dress with halter neckline, accented with 3D florals on embroidered chantilly lace bodice that flares into tulle mermaid skirt, finished with invisible zipper back. Dress was bought of the rail for £1850. Full retail price is £2000. The dress is in almost perfect condition as it's never actually been worn. I'm selling as I've had a change of heart. Size 12 and no alterations have been done to the dress. 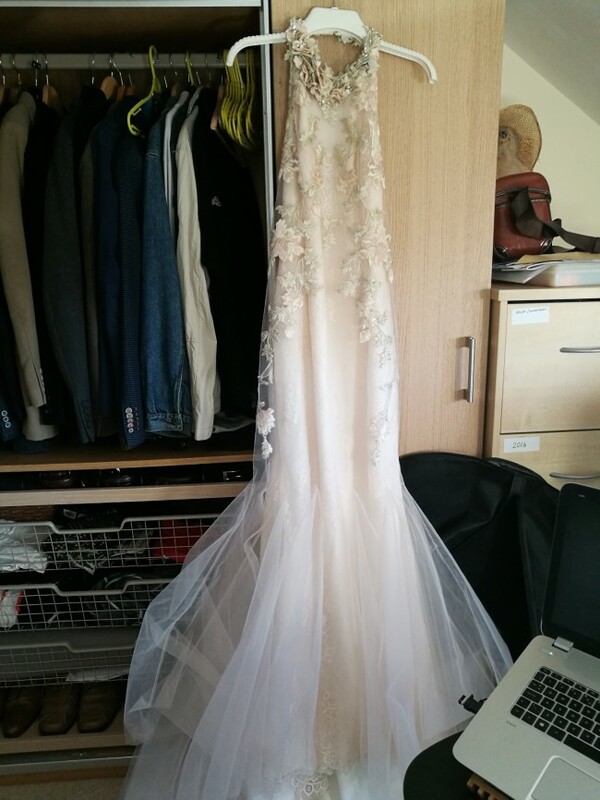 *UPDATE* all small tears have been repaired by a seamstress​, dress is now as new.